This is an upgraded selection of our valued former Afghan/Skunk. We improved the variety in 1997. The taste is softer than before and we managed to improve on yield. 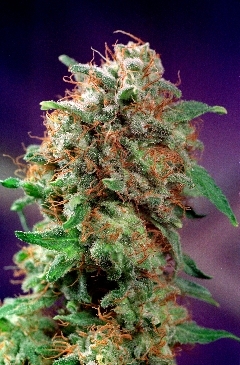 The Afghani (Mazar-i-Shariff) part is a very short christmastree- like plant, 100% Indica and very resinous. The F1-cross with Skunk#1 gives the variety a bigger yield and better taste. Very good “up” high. As both parents are very consistent, the offspring is very consistent too. Click the button below to add the Dutch Passion Seeds Mazar Feminized Marijuana Seeds | Weed Seeds to your wish list.